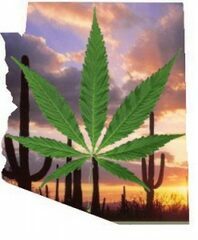 Arizona passed Proposal 203 which allows for the use of medical marijuana. Our staff will assist you in the process of receiving your cannabis card from the state of Arizona, and assist you in understanding and complying with the Arizona medical marijuana law, proper medical marijuana growing techniques, and where you can get your medical marijuana growing supplies. Medical Marijuana is effective for many additional ailments that have not yet been approved by Arizona. The Arizona Medical Marijuana Council's purpose is to provide a stigma free environment for potential medical marijuana patients to get honest answers to their questions about medical marijuana from knowledgeable Medical Marijuana Doctors, who are willing to write medical marijuana recommendations, also known as medical marijuana certifications, according to Arizona Medical Marijuana Law. There is much information available on this website about medical marijuana, however the main thing to remember is this: marijuana has been used by tens of millions of people, (over 40 million in the U.S. alone) from all walks of life, for thousands of years, and has never killed anyone. Marijuana is non-toxic. Medical marijuana is used to treat a variety of health conditions. Cannabis is the real name for marijuana, which got the name marijuana in the 1930's when it was apparently renamed by a group of men in competing industries who wanted it to sound "foreign", so when testifying before Congress, or writing ridiculously exaggerated negative newspaper articles, nobody would realize they were really talking about cannabis, which was widely used in medicine during that time period of the 1930's. Stories were sensationalized and fabricated using the name marijuana that nobody had heard, to make marijuana sound dangerous, and foreign. Newspapers used the foreign sounding name to gain an upper hand in their competing industries. Those competing industries wanted to squash their natural competitor by the name of cannabis which they were unable to patent. They did a good job of it until recently. Millions of people realize mother nature made a more effective and safer drug for many conditions, and her real name is cannabis. When the head of the American Medical Association heard testimony he asked why they were calling it marijuana and not cannabis, which is the real name, many were familiar with cannabis, as it was used in a wide array of medicines. In fact the American Medical Association was AGAINST the banning of cannabis aka marijuana. There are many ailments and conditions that greatly benefit from the use of marijuana / cannabis as medicine, without the toxicity and dangerous side effects often encountered with other medicines. Some medical marijuana card holders report that their use of medical marijuana is more effective for their medical condition, than typically prescribed pharmaceutical drugs. Medical Marijuana is certainly less toxic. Each medical marijuana patient is required to present a Dr. recommendation to their Department of Health to obtain a medical marijuana card. Throughout this website the word cannabis and marijuana are used interchangeably, they are the same thing. For medical purposes marijuana aka cannabis, comes from two basic types of plants. Sativa, and Indica. Those different combinations that are a result of cross breeding, are referred to as "strains". Cross breeding has resulted in hundreds of combinations of strains, from various regions of the World. Sativa marijuana strains generally result in a more alert, happy, thought provoking, focused, and sometimes energetic effect. Indica marijuana strains generally result in a more sedative, sleepy effect, often referred to as "couch lock". Most marijuana strains are a combination of some sativa, and some indica influence. The nuances of the effects between various strains (of which there are hundreds), varies from strain to strain. The nuances of effects also vary from patient to patient as well. A strain that may have a mildly calming effect for a seizure patient, may be an excellent sleep inducer for another. There is not an exact science in picking the strain that best suits a patient. However, in your search for the most effective strain for your medical condition, you can rest assured that marijuana is remarkably safe, and nobody has ever died from using marijuana. If you try a strain of marijuana that is not as effective as you'd expect, talking with a knowledgeable budtender, or grower should help guide you to strains that have been reported by patients with similar conditions to be effective. As a potential medical marijuana patient, it is important you understand that marijuana is non-toxic, and the most widely reported side effects are a happy cheerful uplifting mood enhancer, increased appetite, and drowsiness. It is these marijuana side effects that often provide excellent treatment for various health conditions, and is safely used in conjunction with other treatments. For instance as an appetite inducer for a patient receiving chemotherapy. However, scientific studies have found that the potential of marijuana goes far beyond the obvious benefits. Marijuana has been found to NOT cause lung cancer, in fact it has been found to have a protective effect for smokers of tobacco. Marijuana has been found to kill cancer cells. Marijuana has been found to be an effective pain reliever. Marijuana has been found to be an excellent anti-seizure medicine. The potential of marijuana goes far beyond helping a patient get better sleep, more nutrition, and an uplifted mood. The citizens of numerous States have voted to allow residents who are sick, injured, dying or in pain the ability to choose marijuana as an option in treating their medical condition. The Medical Marijuana Council helps patients with a variety of conditions by offering Doctor Recommendations and information to help patients obtain a Medical Marijuana card. To obtain your Doctor Recommendation for a medical marijuana card fill out the form above. Once you have your Medical Marijuana Card, it will be legal for you to use marijuana for medical conditions according to State law. Medical marijuana is very popular, due to its remarkable non-toxicity and effectiveness. More detailed information about medical marijuana and various case studies, and laboratory experiments showing the safety and effects can be found on various pages throughout this website. The Medical Marijuana Council provides additional answers to patient questions when meeting with one of the medical marijuana counselors, or medical marijuana Doctors. A medical marijuana patient can choose from different forms of ingestion. Smoking, eating or vaporizing are the common ingestion methods of using medical marijuana. Surprisingly, smoking marijuana was not shown to cause lung cancer in recent studies. UCLA's Dr. Donald Tashkin performed a study in which marijuana appeared to not only NOT cause lung cancer, but also in fact appeared to form a protective benefit to tobacco smokers. In several studies marijuana was found to actually kill cancer cells without damaging the surrounding tissue. However, depending on your medical condition the method by which you ingest marijuana should be discussed with your Medical Marijuana Doctor. Due to the popularity of medical marijuana, and to help serve as many patients seeking medical marijuana as possible, in an efficient manner, we ask that you complete the contact form so we can help you as quickly as possible. The Medical Marijuana Council assures medical marijuana scheduling is flexible to accommodate medical marijuana patients quickly and efficiently. Please fill out the medical marijuana request form above to obtain a medical marijuana Dr. recommendation, and free medical marijuana information to get an Arizona Medical Marijuana card. Arizona Department of Health Services Warning: Marijuana use can be addictive and can impair an individual's ability to drive a motor vehicle or operate heavy machinery. Marijuana smoke contains carcinogens and can lead to an increased risk for cancer, tachycardia, hypertension, heart attack, and lung infection.